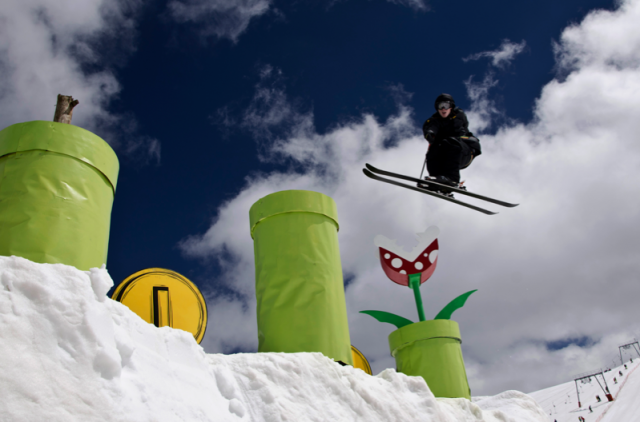 Here is an original concept with this snowpark which turned into a setting inspired by the world of Mario and Nintendo. 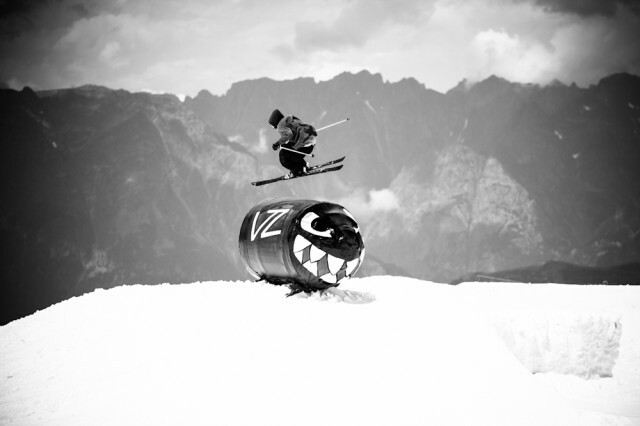 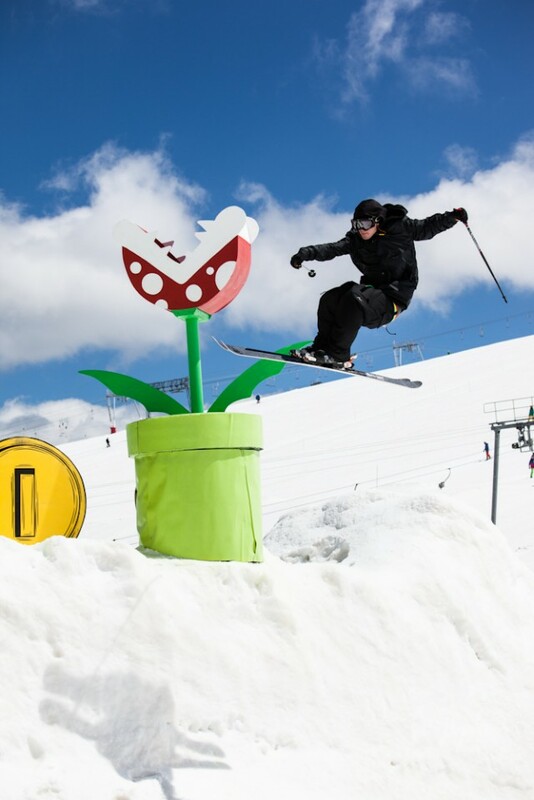 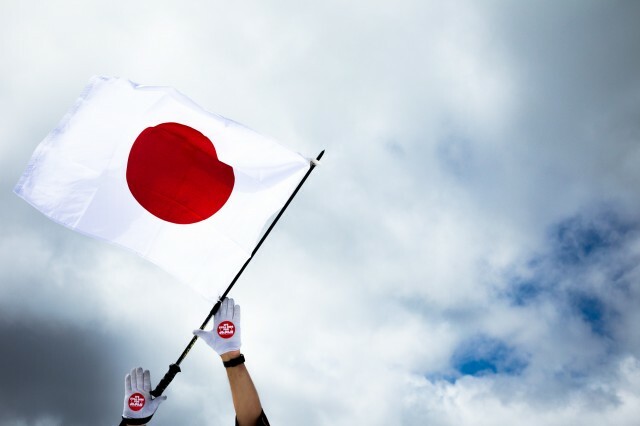 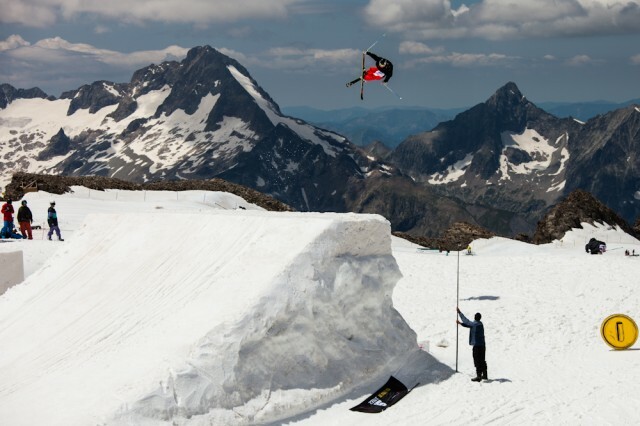 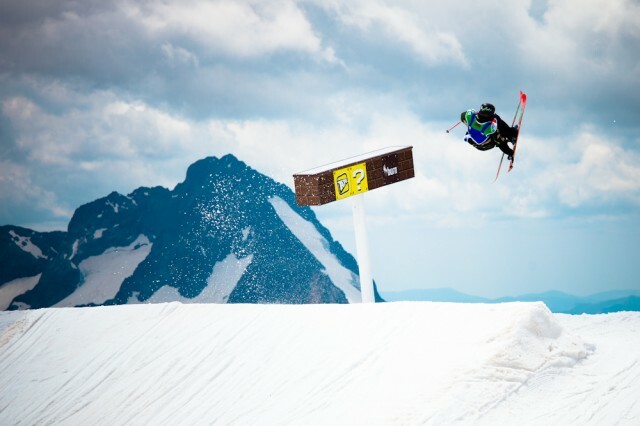 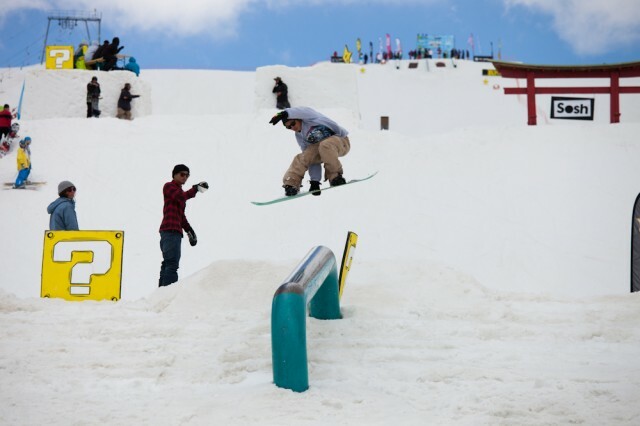 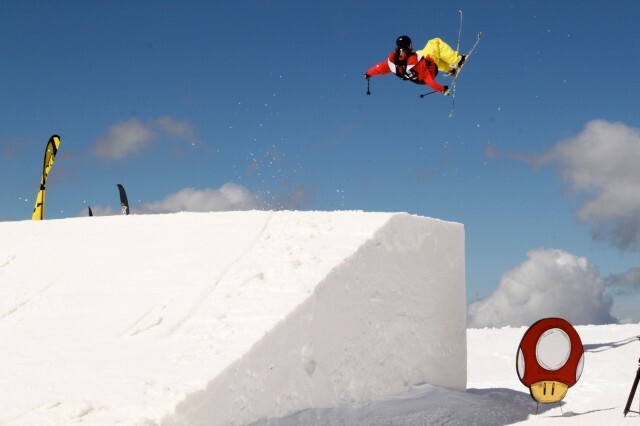 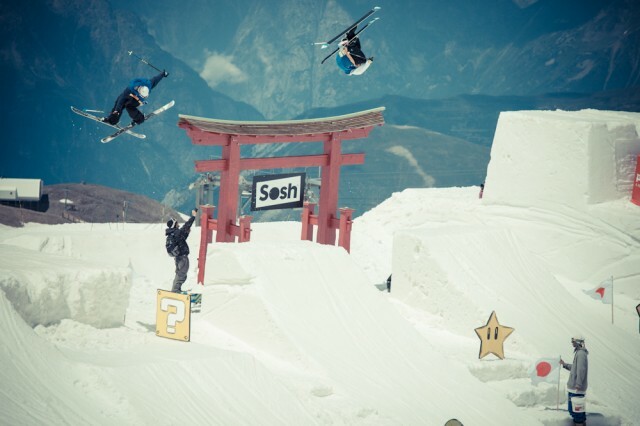 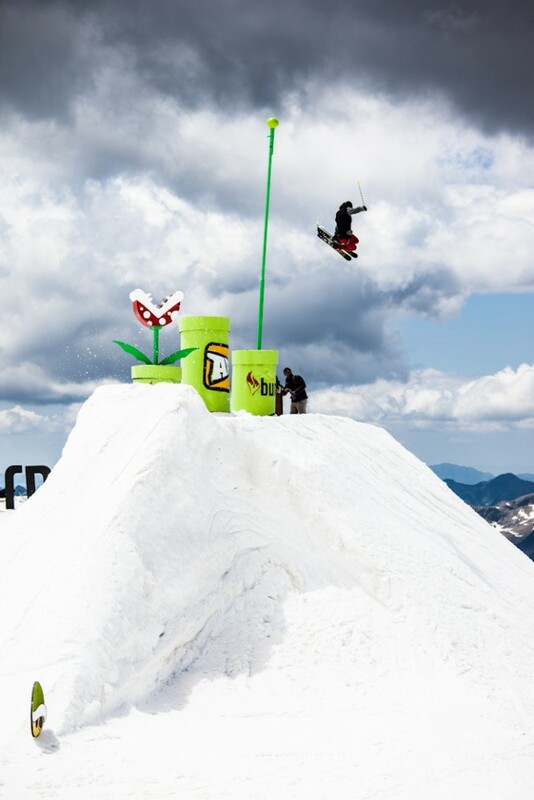 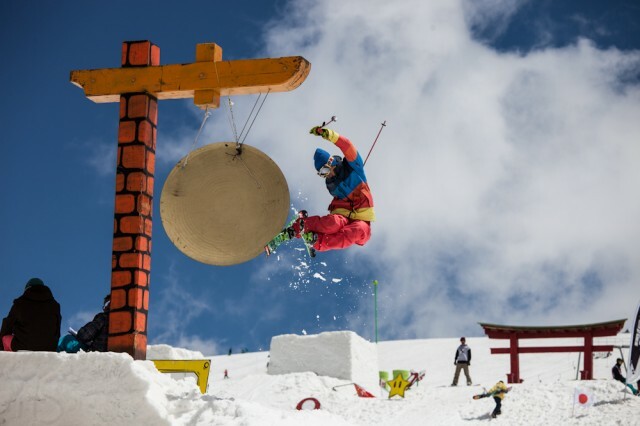 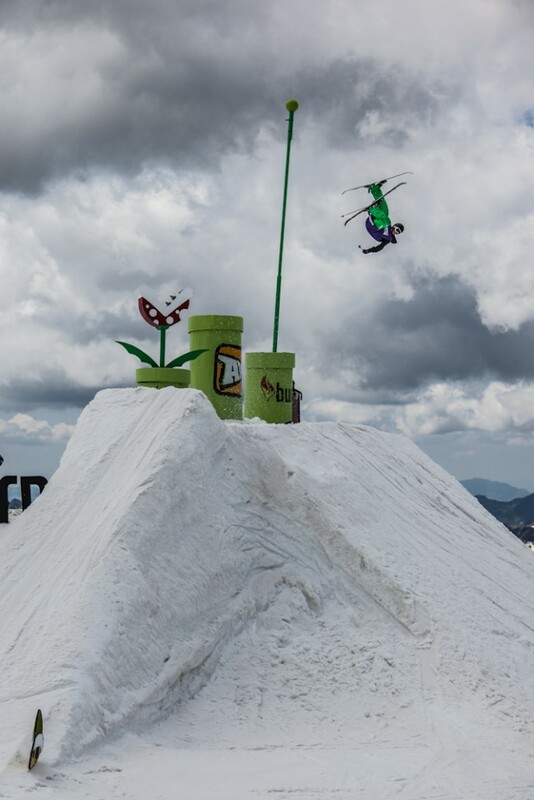 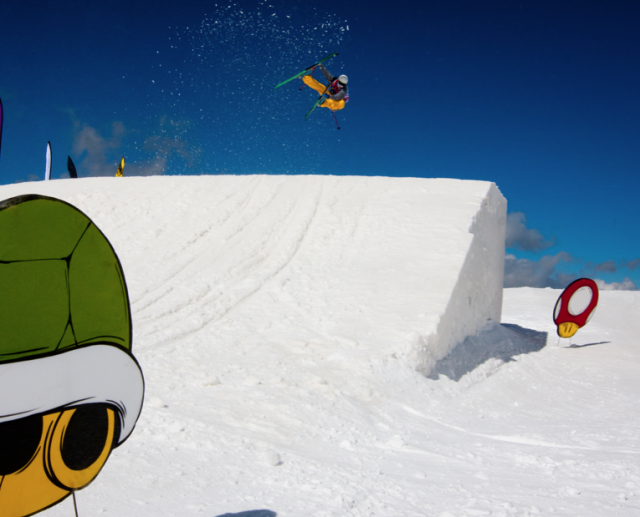 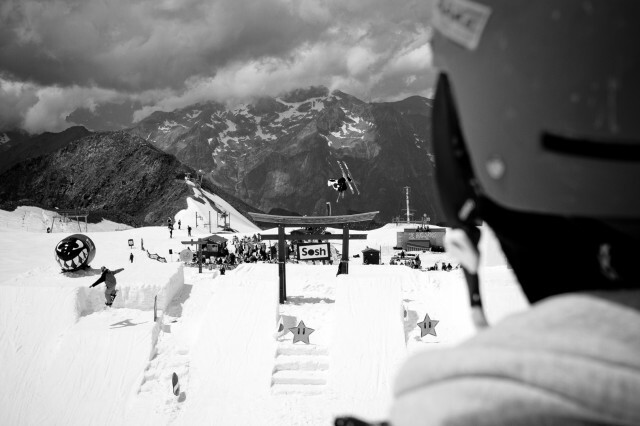 Work on the stage at the contest of ski and snowboard freestyle Kumi Yama Les 2 Alpes organized for the fifth edition . 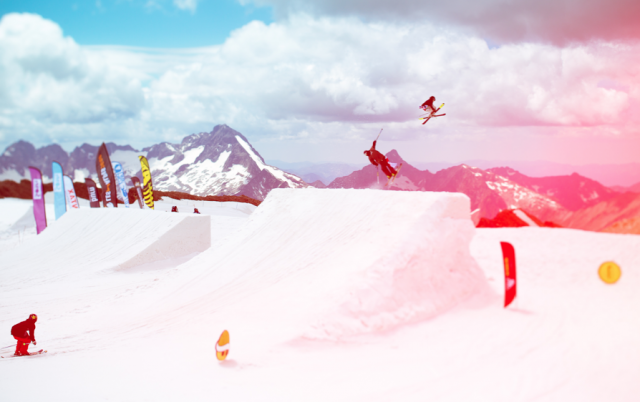 More images to discover in the sequel.